Our mission is to encourage and support adult literacy in our community. 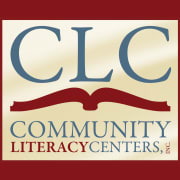 Community Literacy Centers is a place where adults learn to read in a safe, welcoming environment. For many adults, CLC provides a second chance at life and opens new doors of opportunity. We provide free classroom instruction to approximately 1,000 adults each year in reading and writing. Individual tutoring is also available for students who need additional support. Would you recommend COMMUNITY LITERACY CENTERS INC?